Ooty is a beautiful and very famous hill station of south India and is known for its unmatched natural beauty. The green valleys of Ooty are so eye-catching that the British, during their rule in India, gave it the name the queen of the hill stations. It is located in the Nilgiri Hills in Nilgiri district of Tamil Nadu. Nilgiri literally means blue hill and that is why Nilgiri hills are also called the Blue Mountains. Before the British took the region under their control, Ooty and its surrounding area was occupied by Toda people. The British developed this area into a beautiful hill station to escape from the Indian summer heat. It served as the summer capital for many big and small south Indian kingdoms during the British Raj. Ooty is well-connected via roads. On the way to Ooty, one can enjoy the picturesque beauty of hills, forests, lakes and tea gardens. The Nilgiri Mountain Railway also connects Ooty with nearby stations. 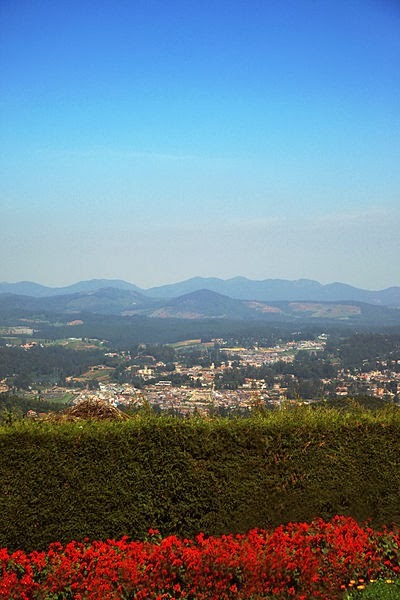 Tourism is one of the main sources of income for the people of Ooty. It remains a major tourist hotspot for almost the entire year. The breathtaking beauty of Ooty and its surrounding areas also makes it is one of the prime destinations in India for honeymoon. The cool and pleasant environment draws in a lot of honeymooners to Ooty for spending honeymoon vacation. 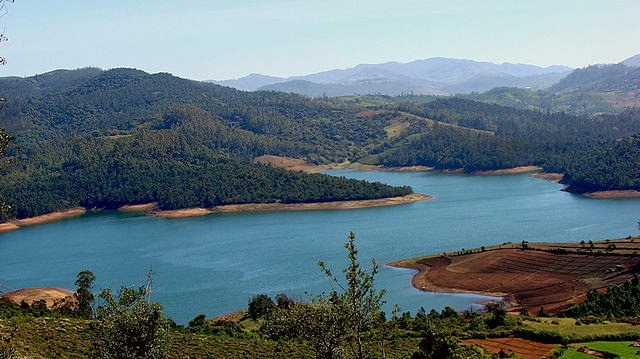 There are many other tourist attraction nearby Ooty like Doddabetta Peak, Kamaraj Sagar Dam, Mudumalai National Park, Mukurthi National Park and Emerald Lake. Ooty looks like an incredible place to visit… I love mountains --so I'd love Ooty and the area around there. Love that gorgeous lake also. So perfect for 'Q'. I was there sometime back, indeed a beautiful place. Wonderful place, I would like to be there now! the layers of color are just wonderful in these! What a stunningly beautiful region. A gorgeous place to visit! The scenery is just beautiful. Lovely photos. Beautiful mountains and lake, must be heaven. Looks like a wonderful place for a vacation- very pretty! Looks like a lovely, scenic place to visit. So beautiful scenery and landscapes. follow with the check, Norway, India good luck for Anand and Caelsen. Have a nice day from Marit of Norway. This is definitely a beautiful place. I would love to visit it some day. aweome views and beautiful colors!! Gorgeous photos. What a lovely place! Beautiful shots. Looks like a great place to explore. Thank you so much friends for visiting here! I appreciate and enjoy reading your kind thoughts. Hope keep visiting..
Hi! Nice captures. The blue mountain is very beautiful. The Emerald lake is very beautiful too. Thanks for sharing. Wonderful place to retreat to in the summers..it really is lovely. Very beautiful! Dramatic great weather in the first picture! Przepiękne miejsce. Wspaniałe zielone góry i cudowne jezioro. Pozdrawiam. Beautiful place. Great green mountains and the wonderful lake. Yours. Thank you Giga and Optimistic!! Stunning scenery.. beautiful photography. The colour of the water in the last image is gorgeous. Thanks for advertisement this! I'm aggravating to accession admonition on Accredited Degrees and this has in ability helped me in this process.